Snowflake Similes are one of my favorite winter activities. 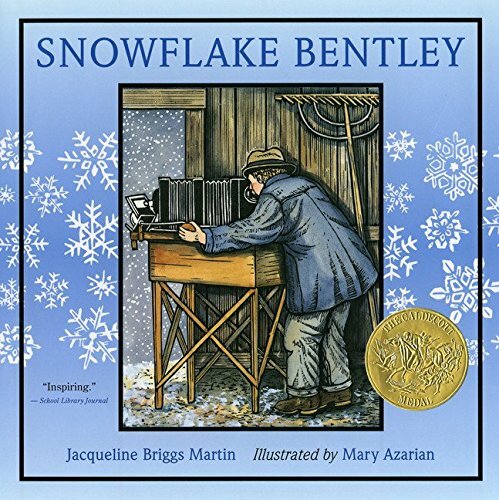 This past week we read Snowflake Bentley, and did numerous activities with the book. For the similes themselves, I have a half sheet template that we first brainstorm and then they create their own. Here's the template if you need it. After glueing on their template, the kids get to take a coffee filter and make their own snowflakes. It's always art after the writing... Some years I have had the foam snowflakes (think Dollar Spot), but this year we resorted to the filters. They really do make them unique. We started fractions in math, so were able to practice that a bit as we were folding the circles getting ready to cut. 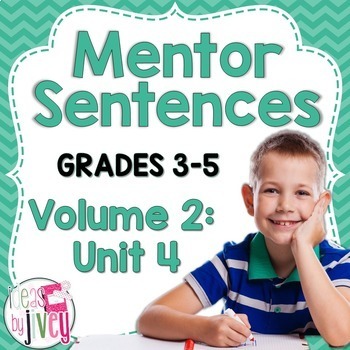 I also love Mentor Sentences and recently realized that Jivey has Snowflake Bentley in her Volume 2 Unit 4 product. I love that my read aloud could also be used for our mentor sentence. I wanted to direct you to the Snowflake Bentley website, where there is much more information, photos, his articles, interviews, gift shop, etc. So much realia to share with our students. What do you do with the book? Hope you have a great day! Students worked with a partner to form a building on two "plates" - actually two books. It needed to be able to have those plates move in 3 different ways while still remaining intact - sliding, pushing/pressure, and separation. There were tons of laughter and problem solving at the same time. We still have more to learn before we move onto Volcanoes, but the interest level has been piqued. 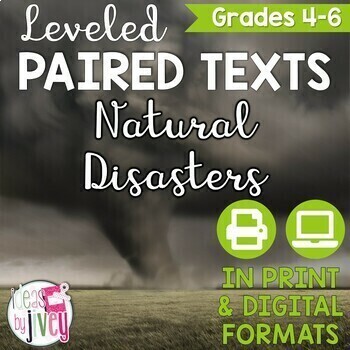 Next up my students will be reading Jivey's Paired Texts on Natural Disasters. She covers Earthquakes, etc. 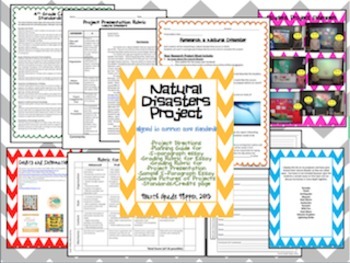 and then I will assign their Natural Disaster Research Report from 4th Grade Flipper. The Paired Texts give that deep knowledge that our text lacks, and the research is giving the kids choice, which ups the interest level. How have you studied earthquakes? 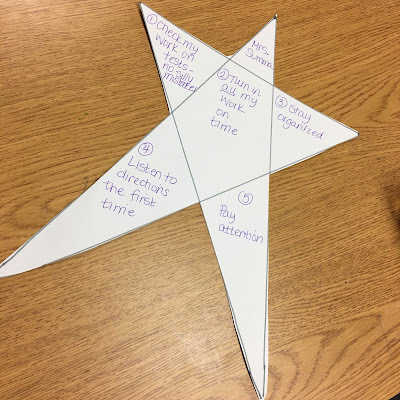 At the beginning of every trimester I like the kids to come up with new goals. We hang them on the sides of our room from the ceiling using pipe cleaners and paper clips. Well it's not the beginning of the trimester, but it is halfway through the school year, so we made some New Year's resolutions to stay focused. The students created the big stars themselves using construction paper, some patience, and a ruler. After drawing the lines, we cut away the outside pieces to form the shape. Did your students make new goals? It's always nice to look ahead. This is year 17 and I'm still learning. Up to a couple of years ago I would hand draw my seating charts. Then I moved to making a computer template that I would print and fill in with student names. Usually there has always been a lot of erasing as I methodically place the students in the best spot for them to learn, and then realize that so-and-so can't be next to them in that area. This break, after being inspired by Ladybug's Teacher Files, I decided to try a digital seating chart. In powerpoint I created a simple background template with the approx. size to fit my most favorite seating arrangement (I call it the huddle). With my 32 students I fit 12 in the front row, and 20 in the second. I love this for many reasons, but mainly because 12 kids get the front row and I can see all faces very easily. After the background shape, I made squares to fit the arrangement and added my student numbers. The asterisks mark the girls. I like to do a boy/girl pattern, it helps with the chattiness aspect in my classroom. 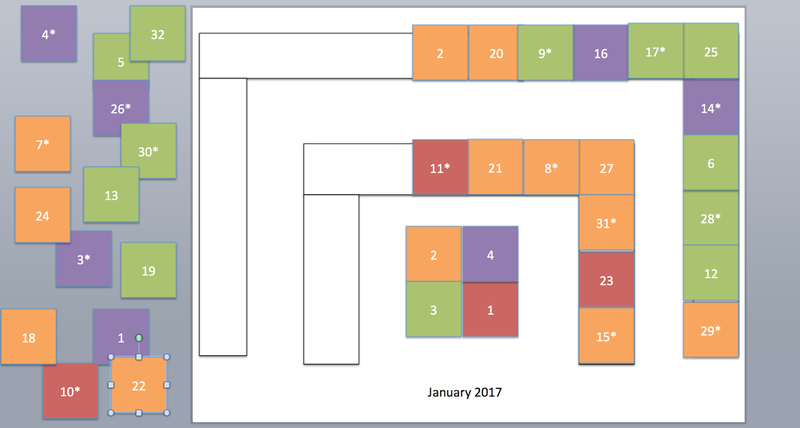 I then color coded the boxes with the different learning levels. Red is IEP (1's), Orange is ADHD/504/approaching/keep a close eye (2's), Green is at grade level (3's), purple is advanced (4's). I like that I can easily switch colors as students move on up. What have you recently started to do on the computer that you used to only do by hand? When I first tuned in the expectant parents were busy taking care of their two eggs, about to hatch at any moment... which I then learned "at any moment" was actually three days later on New Years Eve. After investing days of tuning in, when school started back up I decided to bring them with me. It was a very powerful motivator this past week in my classroom. Students were trying to earn extra points in order to take a peek at the new eaglet. We watched as a class as momma fed her baby some fish, they made inferences as to where dad was at the moment and why baby needed to snuggle up close to the parents. I hope you have a wonderful night. See My Best Selling Products! If you find something you like, please give credit to "I Love My Classroom" ©Design by Christi. Powered by Blogger.